Second child of Comtesse de Corsica who has returned home from travels to take up her older sister's position as Baronesse de Cargese and the heir to the Comte after her disappearance. Born the second child to Comtessa of Corsica and her husband, she grew up in the castle of Ajaccio with her eldest sister, Leonide, and her younger ones that would come later; Madeleine and the twins, Merielle and Marielle. While Leonide had to follow the path of being the heir of the family, Esmee had a bit more freedom. From an early age, it was noted that her sense of smell was quite acute. Able to pick out the seasonings in the cook's soup by just a whiff, or name the flowers in the vase unseen in the hallway. The older she got, the more attention she would pay to scents, often combining things on her own to make perfumes to wear. Her family would tease her about the fact she could become lost in her work, her head stuck in the flowers instead of clouds until she got it just… perfect. Like Leonide, tutoring on many subjects was given to her, but with her sister being heir, Esmee got to miss those on the topics of running an estate for more than what she might need to know for when she got married. When she came of age, she requested to be allowed to travel to learn from various countries the art of perfume. 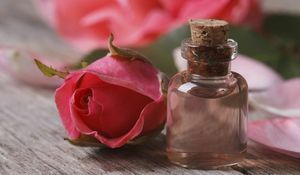 Allowances were made, and a ship taken to Hellene, Caerdicci, Argonia, and even to Tiberium so she might learn from the best masters of perfume. She was there, in Tiberium, when she got the letter to return home, that her sister, Leonide, was missing and presumed dead because of pirates. A hatred was born then along the trip back home, which may cause problems in the future. Dark, chocolate brunette hair falls about her face straight, with just a hint of a wave, though usually pulled back with a stray bit of string or leather. Pale skin competes with the scandalously thick-lashed eyes of an exquisite blue. Some sparkle, something playful and mischievous frolics in the depths of those eyes, waiting to come out and play, but other then that there is only a calm seriousness there. An elegant slant of a nose that sits atop pouty red lips finishes filling out the features that sit within strikingly beautiful face. Petite, slim, and yet curvy in all the proper places, is the rest of her form - a certain elegance often found residing within her movements. There is a scent that follows her, though it's not always the same. It mingles well with her own personal aroma, creating a perfume that is most sublime. And yet, at the same time, it is never overpowering. Esmee, for the most part, is rather easy-going and free-spirited to a degree. She loves her family dearly, and is likely the only time she might get angry is when someone is hurt or spoken badly about. She is proud of what all her sisters have done, and is a quiet cheerleader for each one in their pursuits. She can be a tad bit of a secret romantic, looking forwards to the time when she might fall in love. The Nose: Her sense of smell is quite acute, allowing her to pick up on all sorts of scents. Don't challenge her to figure out the flowers in the vase in the other room, or the seasonings that might have been put in the stew! This also means when things smell bad, they are really bad to her! 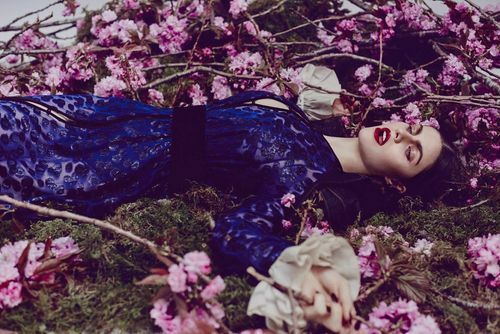 Head in the Flowers: When focused on creating the perfect perfume, Esmee can become sort of absent-minded to everything else going on around here. Perfectionist: Everything has to be just right, whether it be the work she's doing, the letter she's writing, or the tea party she might be hosting. Pirate Hatred: Pirates have plagued her family's land, but she never game them much thought until the day she got the letter telling her that her sister, Leonide, was presumed dead due to her ship being attacked by pirates. This hatred has been slowly brewing, and is likely not to be pretty. Surprised Comte Heiress - Her elder sister has gone missing after an attack on her ship by pirates and has been presumed dead. Surprise! She's now the chosen heir to her mother's title. 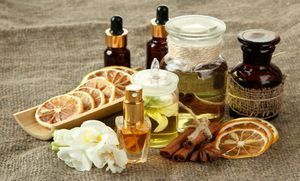 Perfumer - She loves creating new scents for herself, and her family and friends. She's studied under many masters in the business in various foreign countries. Tiberium - She was recently there for about 5 months before being recalled back home. Perhaps you met her there? Traveler - She's visited Argonia, Hellene, Caerdicci and Tiberia. Leonide Arielle Rousse : Elder Sister. Missing. Madeleine Rousse nó Glycine : Sister. Marielle Rousse no Rose Sauvage : Sister. Twin to Merielle. Now the Second of the White Roses. Marco de Mereliot, Vicomte de Toulon : Interesting young lord I met in the baths one evening. I've heard rumors he is to be married to an Akkadian bride. Aisan d'Aiglemort, Vicomte De Dijon : Some would call him my savior after coming to my rescue when mugged on my way to the Salons. I would agree. It is a pity that he has returned to his lands. Gaetan Lafons, Vicomte de Biches : I was not sure what to think of him at first, but these days, he's become a good friend. Aidan Delaunay, Lord : He was nice enough to lend me a hand one day, and we kept running into each other. We thought we might be compatible to consider courtship and put his sword to use against pirates, but it did not work out that way. I wish he and my cousin luck together. Aimee no Coquelicot Rousse, Lady : Cousin. Seeking now to become a chirurgeon after leaving the salon. Oliver de Basilisque, Lord : A blind lord who has become a good friend. I can only hope that what help I offer, will help him through his problems. Adept Piers nó Rose Sauvage : I met with him at the House when I went looking for Mari. I did not win his debut, I never even made it to it because of thieves who sought to mug me. But, what I gained later, more than made up for it. It seems now he is.. gone? Perhaps to Elua? Baptiste nó Rose Sauvage, Second of the Thorns : I am… so uncertain. Anse de Basilisque, Priest of Elua : I am quite thankful to this brother who helped me out when I most needed it one day. I know our views on certain topics do not match, but I understand why he wishes things differently.